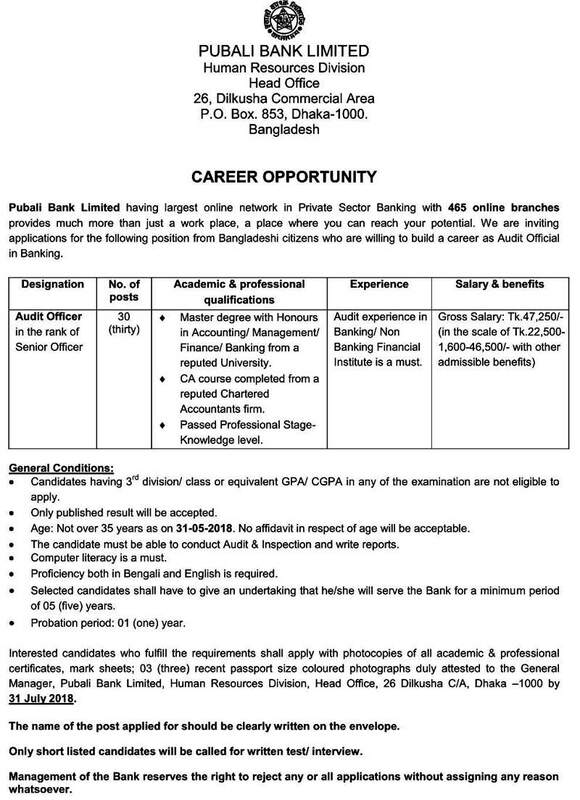 Pubali Bank Great & VAST Job Circular Recruit for the various Posts. Pubali Bank Limited Career Opportunity 2018. Pubali Bank limited is one the largest commercial bank in Bangladesh. It has more than 445 branches all over Bangladesh. Pubali Bank Limited will recruit for various posts. Interested suitable & eligible Bangladeshi candidates are requested to Apply Online. 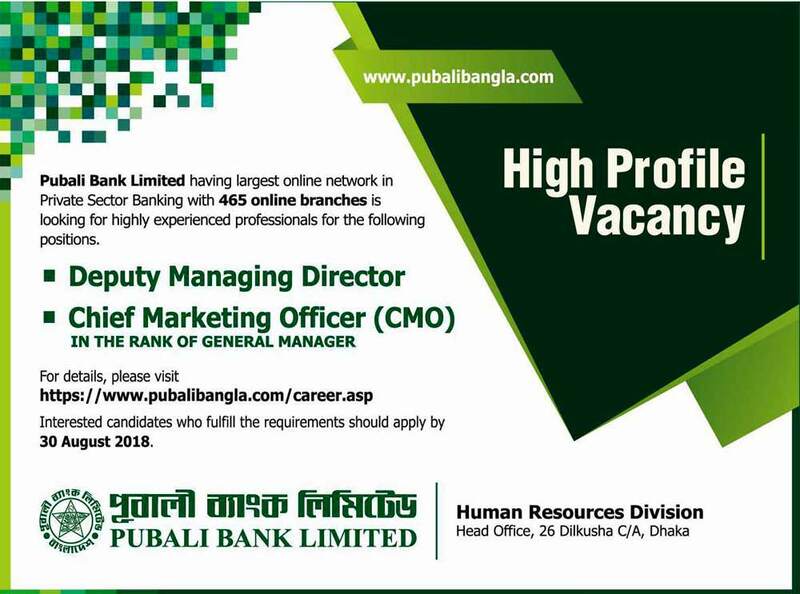 Or Directly the General Manager, Pubali Bank Limited, Human Resources Division, Head Office, 26 Dilkusha C/A, Dhaka–1000. The Deadline for submission Online Application is Please see the image job circular for details. Application Deadline: Please see the image job circular for details. Interest and suitable candidates are requested to Apply Online. with CV recent passport size colored photographs (Maintain followed the circularized conditions and instructions see the attached circular below) or to the General Manager, Pubali Bank Limited, Human Resources Division, Head Office, 26 Dilkusha C/A, Dhaka–1000. Apply by Please see the image job circular for details.